Indonesia Climate Rangers are ready for Global Power Shift!! It was Saturday evening. I was on the train on my way back home from the capital city of Indonesia, Jakarta. I kept wondering why my heartbeat works faster than usual. Couple hours ago, I was still involved in a gathering of people who named themselves as Indonesia Climate Rangers. Twelve of us would like to represent Indonesia for Global Power Shift in Istanbul, June 2013. It was our very first meeting in the same space and time, but of course, it wasn’t our first ‘meeting’. Skype, emails, and whatsapp message application were our main based communication since months ago. This gathering was too interesting, at least for me. We came from many different areas and backgrounds. Yet, the same concern toward the mother earth gathered us here. Our nights and long discussions came to a resolution to build a movement for dealing with the climate crisis and for social justice. We came up with two very important issues in Indonesia, forest and energy sovereignty. We need to influence young communities toward those issues in order to create a social movement that should be the main pillar to change the paradigm and behaviour of the society toward the use of natural resources and finally, to minimize the impact of climate change. More specifically, we’re going to build a social movement concerning to the forest, fossil fuel, and renewable energy. Communities would be our root to build the movement through solidarity based. We would like to work together with other green communities around the country helped by one of them, technology (i.e. internet). However, we’re going to move that way. This gathering made us sure that the global power shift of phase 1 in Istanbul would be our milestone for the next phase of power shift in Indonesia. When I was checking out to globalpowershift.org, seems that many countries have prepared for the global power shift very well. Here I also want to inform you that Indonesia climate ranges are ready to join with other power shifters in Istanbul and the entire world! Now, I know why my heartbeat works faster than usual. I just can’t wait for the Global Power Shift happens!! There you can find every single thing you need!! This morning, I had a little conversation with my mom while having our breakfast. We come to the conclusion that we’re going to the market right away. 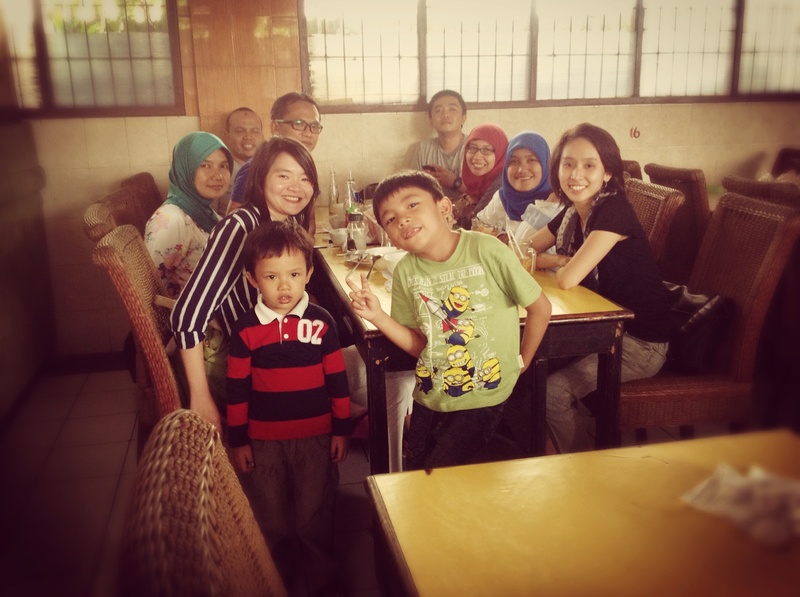 In less than 30 minutes, we’re ready to leave for Beringharjo market. 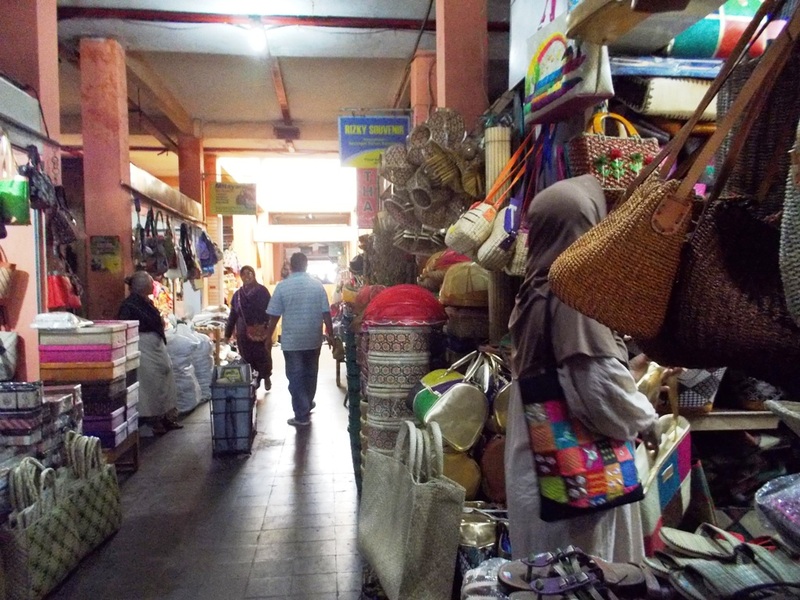 Beringharjo market is one of the oldest markets and also the biggest in my hometown, Jogjakarta. Coming into the market, my mom bought some vegetables and fruits on the second floor. A middle-aged man served us. My mom had never bargain the price in the market, but she always said to the merchants, “Just give me the proper price, okay?” She said that the merchants would give you a proper price for sure. After making the payment, we’re leaving to the third floor. The third floor of this market is being the central of the crafts. I came to this floor not too often, unless I need something to buy. In this occasion, I need to find a lampshade for my kiosk. For your information, I and two of my friends are preparing to open a tea corner, soon!! After looking around, I got two simple yet sweet lampshades. Ha! I didn’t bargain it since the price I thought war fair or even less than I expected it would be. A husband and wife served us; they’re working together selling so many types of crafts in their kiosk. I was done with my stuff. Then we continue to the second hand kiosk area. My dad asked me to buy second hand sack for his farming needs. An old lady served us and she looked very enthusiastic. What a hard working, lady!! We guessed that we’ve got all the things we need, when we’re about to go downstairs we passed again the bag kiosks. Then we stopped. We finally grab several bags. Haha. Women!! Those beautiful crafted bags are not expensive at all, believe me. Anyway, many times, I came here to buy some veils. The veil kiosk areas provide so many different types and colours. And again, with that quality, the price was fair and more like to be cheap in my opinion.